The quality of sleep will get disrupted with snoring and resistance through the airway. This disorder is called Upper Airway Respiratory Syndrome(UARS). The patients with UARS will not coming to know about their awakening due to snoring. All UARS patients may not be having audible snoring. During inhalation or inspiration, a few patients will have to take more respiratory effort. Since there is an anatomical limitation from an enlarged tongue base to the airway. Instead of snoring, heavy breathing will be heard as a result of it. There is a greater risk of developing obstructive sleep apnea for patients with UARS. UARS represents a movement of illness crossing over the move from “benign snoring” to obstructive sleep apnea. Patients essentially don’t go to bed ordinary one night, just to stir the following morning with obstructive rest apnea. Rather, they ordinarily experience regular movement after some time or taking after increased weight from “benign snoring”, to UARS, lastly to obstructive sleep apnea. This movement might take years or decades to happen. UARS can only be diagnosed by an examination in a sleep laboratory. Oral appliances are used for the treatment of UARS. 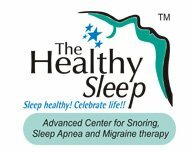 The Healthy Sleep – Advanced Center for Snoring, Sleep Apnea and Migraine Therapy offers best treatments for Upper Airway Respiratory Syndrome India . This is the primary center for providing Oral Appliance Treatment for snoring and sleep apnea. Dr.Krishnan A. Subramanian is a well known allopathic doctor who specialized for Snoring Treatment Kerala. For more details visit us on : www.thehealthysleep.in .